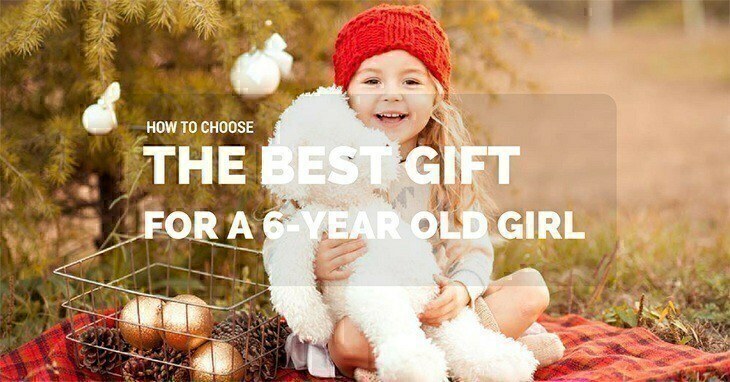 Whether it’s for birthdays, holidays or just a random gift-giving moment; it’s easy to pick the best gift for a 6-year old girl as long as you know what’s appropriate for this age. Most kids, however, already have their favourites like Barbie dolls, bicycles, puzzles, Lego blocks or board games. Dolls: They may now enjoy role-playing because it’s at this age when they love anything that involves fantasy and imagination. Also, this can help improve their social skills since they may invite friends or neighbours to play with them. Another thing is, they tend to play with other kids of the same gender. By the way, dolls today are different. There are those that can drink milk and even poop. Coloured Pens: Not only have they learned how to write, but they might appreciate what they can do with various colours. If you want, you can include a colouring book too. Kid's Headphones: In truth, music transcends age (my little boy started headbanging and humming to his favourite tunes before he turned 2) so this would be a good option. It would also come in handy during long travels because it will keep them calm and busy. Just be sure to pick those for kids (max volume is significantly lower than that of an adult’s). Animated Plush: Remember that stuffed unicorn that speaks when you were a kid? Yes, it’s hands-down adorable. Just make sure you take off the batteries at night because the last thing you need is someone speaking in the hallway in the middle of the evening. Books: You can now advance to the real ones – no more cloth or board books. Your kid can now understand that they shouldn’t tear it to pieces but read them. They’d still appreciate those with images and illustrations though because they find those more interesting than books with just plain text. Construction Pieces: This is a good way to bond with your kid – you can build farms, houses, and almost everything in between. They may need your guidance because some parts can be confusing.Nevertheless, it’s a fun activity for both of you that’s sure to keep you busy. Dollhouse: Although buying one from the toy store is okay (saves you time but may cost more), if you’re creative and patient enough, you can construct one from scratch. Plus, if you do it yourself, you add a customised touch to it. Toy Cars: It’s one of the dream toys for little boys, but some girls love it too. My nephew even had this little ‘garage’ in his room where he kept those miniature replicas of Porsche, Jaguar, and other sports cars. And you can add a track where they can race with other kids. Kitchen Play: I did mention about make-believe earlier, didn’t I? Well, this is another thrilling plaything that they will love. They can cook or bake. And these sets include plastic food such as bacon and eggs (who doesn’t love them? ), chicken and bread. Action Figures: If they’re big fans of Spiderman, Captain America, the Hulk or Elsa and Anna from Frozen; they’ll surely get excited to have these as gifts. But warning, don’t expect these to last, though. They’ll likely play with it and handle them so roughly; you might find the limbs and other parts scattered all over your house. LEGO Bricks: This is the truth, everyone loves these blocks. You can create anything, and it stimulates the kid’s imagination and creativity. The possibilities are endless. They can build castles or houses. But I guess I don’t need to emphasise the importance of storing them properly. I mean, you know how painful it is to step on them. Budget: I always say this – never go beyond what you can afford. Gifts aren’t necessities. You see, “It’s the thought that counts” is not a cliché. It’s the simple, honest truth. You don’t have to purchase a 200-dollar doll when you can go for a 20-dollar action figure. Occasion: Duh? I know you might think this is just common sense but sometimes, you might overlook it. When it’s Christmas, you can always go for Santa Claus plush toys (which may not be as expensive as an entire kitchen set). Also for the holidays, I like to do my holiday gift shopping before the BER months (more often in August). The reason is purely financial practicality. Items tend to be more expensive as December nears – they know it’s the gift-giving season. There are plenty of sales during the entire year (summer, back-to-school, graduation) and I always like to take advantage so I can buy more. Preference: When my niece was around 6 or 7, she refused to play with dolls since she liked her cousin’s toy guns. She would put aside the Barbie doll and have her hold one of these mini guns she got from his toy soldiers. So if you can, try to find out what they like. Also, you might want to check with the parents if they have the item you’re planning to buy because you wouldn’t want them to have two of those. As I mentioned earlier, if you don’t have the time and patience to make a DIY dollhouse, this is a good alternative. 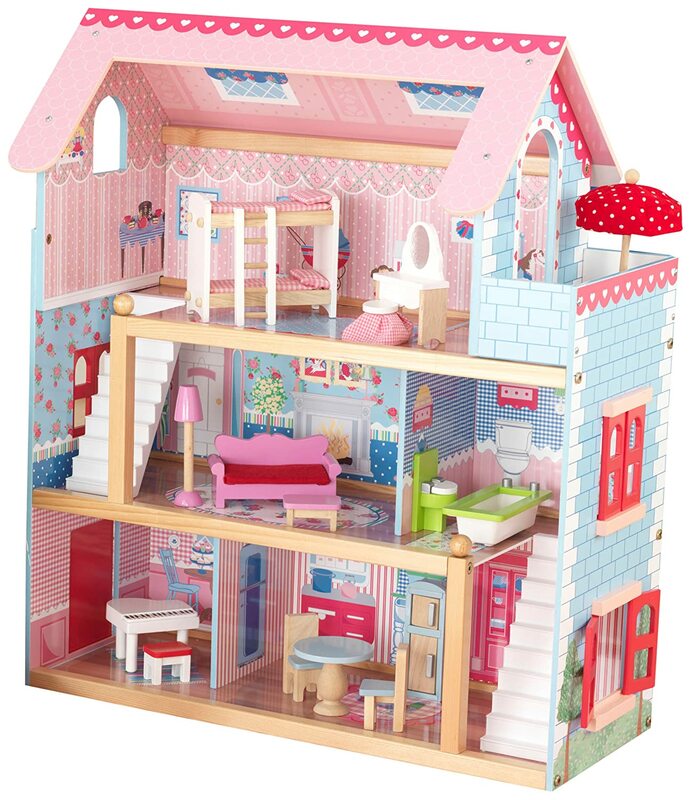 It’s big enough to allow plenty of kids to play and can also accommodate 4-inch mini dolls. Other features include 17 pieces of furniture, windows )that open and close), and moulded plastic staircases. First off, let me just say I wish this existed when I was a kid – something as realistic and beautifully crafted as this would have been the highlight of my childhood. It’s a stylish kitchen set with ‘windows’ and also includes 30 pieces of accessories. 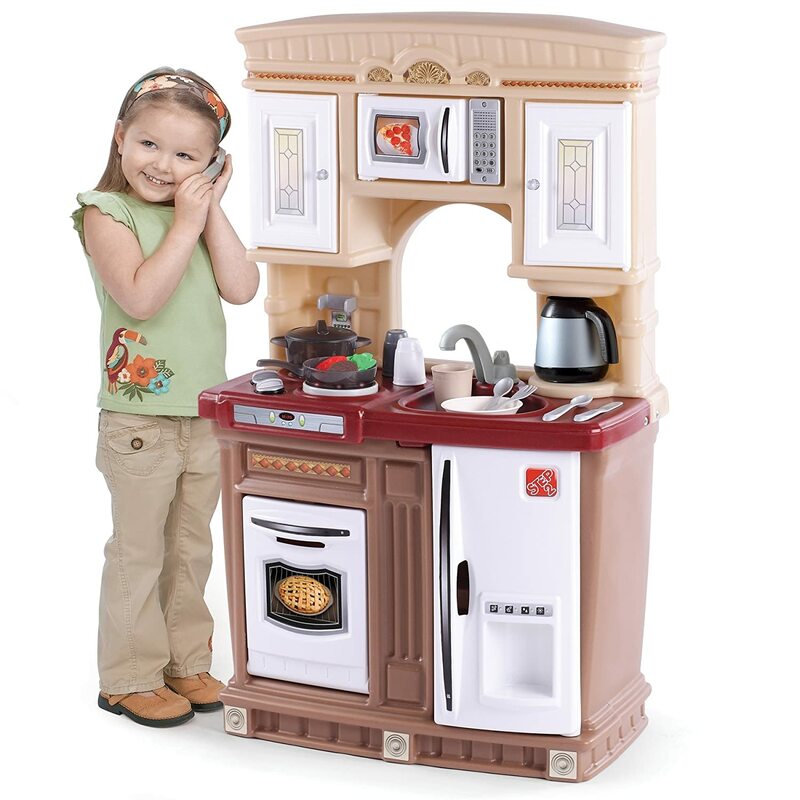 Other features include frying pan, coffee pot, ‘stainless steel’ microwave, oven and refrigerator. 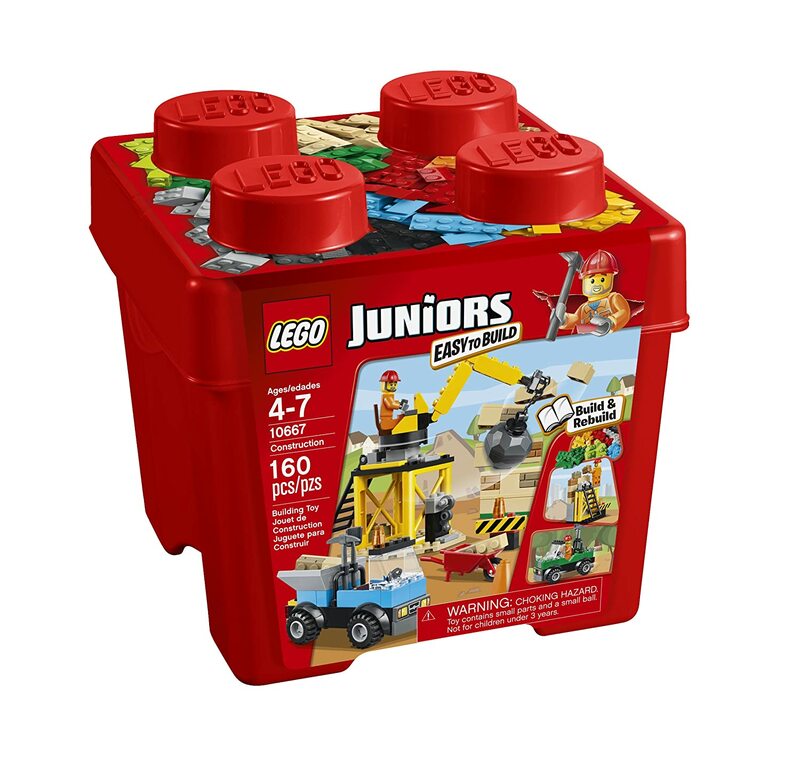 It's the perfect introduction to brick building, and it features a beautiful container, a construction worker mini figure, truck, wall section and a crane with wrecking ball. Other accessories include cones and a wheelbarrow. There’s an age-appropriate instruction for building and scaffolding. You can rebuild it into new models too. 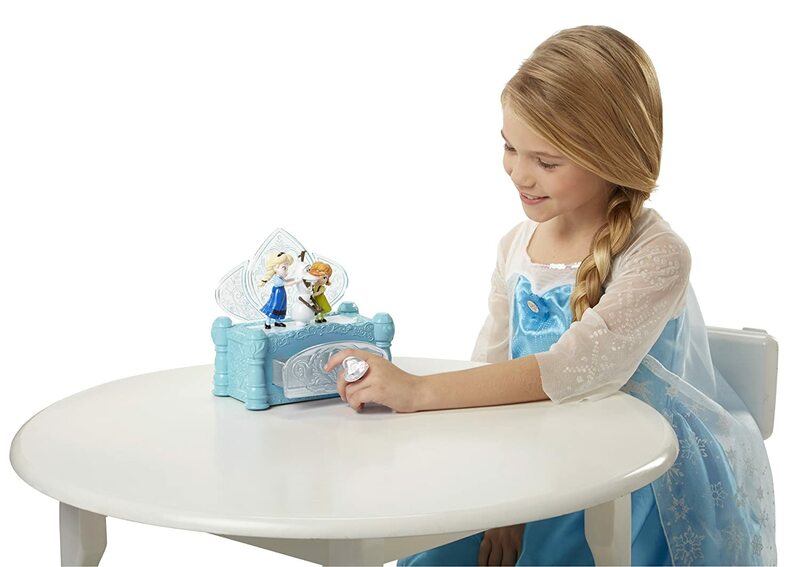 This adorable toy features three of the most adorable and lovable characters in Disney’s Frozen movie – Elsa, Anna and Olaf. There’s even a cute heart ring included! It’s great for storing not just jewellery but also essential trinkets. And you get to hear your favourite song “Do you wanna build a snowman?” play. The speakers only measure 1/8” and it also has a durable braided cable which makes it ideal for those who aren’t big fans of earbuds or large headphones. It has a unique and adorable design that little girls will surely love. And the company also offers a money-back guarantee. As I mentioned earlier, there are plenty of things to take into consideration. But provided that you have no idea what the 6-year old recipient likes, it would be safe to assume she’ll love the CozyPhones Headset. First, kids at this age already have their favourite shows. Sure, you’re not going to let them watch for hours, but it would be a lifesaver for plane flights and the parents will thank you for sure. Second, it’s going to come in handy at some point and not just during travels. Nevertheless, the other options in this list are also great.